SB 76 as of 2017 will eliminate all property tax funding for schools — with some exceptions for districts with long-term debt –and replace it by increasing the state sales tax 1 percentage point and the state income tax 1.88 percentage points. A bill called HB 1776 was introduced in 2012 that would eliminate school property and local school nuisance taxes across the Commonwealth and replace those taxes with funding from a single state source. SB 76 Fails To Ease Tax Burden — Lisa Esler, who is one of our favorite people and is a Penn Delco school director, had a 14-minute interview, today, Nov. 30, with Gunther Rewind concerning SB 76. The proposed legislation would prohibit homes from being taxed to fund schools. Lisa notes that this reform does not solve the tax burden issue and that state legislature is not interested in taking the simple, commonsense steps necessary to do so. She says the prevailing wage mandate increases construction and maintenance projects between 10 and 30 percent and should be simple to repeal with an honest government. She notes unnecessary state mandates such as paid teacher sabbaticals. She points out the crushing $70 billion-and-rising pension shortfall. She mentioned how the right to strike by teachers inevitably means tax increases. And while nobody should be taxed from their home, Lisa is 100 percent correct that Harrisburg is not serious about fixing things. You can find Lisa’s interview here. Property Tax Referendum Explained — The Republican State Committee has distributed an explanation of the Nov. 7 ballot question on whether school districts may exempt homes from property taxes. We are republishing it. Hat tip Donna Ellingsen. This November, there will be a referendum on the ballot that could shape the future of Pennsylvania’s property tax system. Below I have included a research packet with information of the referendum along with background references. The referendum, which would amend the PA Constitution, could allow for significant reductions in property taxes. I encourage you to education your voters about this referendum and to use this as an opportunity to bring conservative voters to the polls, which will help our whole ticket. As always, please reach out to me with any questions or comment. TOP LINE: A November ballot question will ask voters whether local taxing authorities should be able to exempt residents from paying property taxes on their homes. Nothing would change immediately if the ballot question passed in November. School districts, counties & municipalities would have the option to exempt taxpayers’ primary residences from property taxes. Note: commercial and industrial properties would still be taxed if a local government or school district enacted the exemption. Under current law, taxing authorities can choose to exempt taxpayers from paying up to 50 percent of the median assessed value of all homes. The proposed change would expand that exemption, making it possible for local governments to exempt ALL taxpayers from paying ANY property taxes on their primary residence. Why is the ballot measure being championed by lawmakers? In Pennsylvania, systems in place for property assessments and distributing school funding have sparked additional complaints about the real estate tax system. Currently, property owners pay tax rates set by their county, school, and municipal governments. FACT: School taxes account for the largest share of property-tax bills, and Pennsylvania’s school-funding system has long been criticized. Statewide, property tax collections account for about 30 percent of local and state tax revenue, according to a study by the Tax Foundation. Our tax rates are among the HIGHEST in America; Pennsylvania homeowners pay, on average, 1.46 percent of their home value in taxes, according to another Tax Foundation report, which ranks the state 10th nationwide for the highest effective tax rate. New Jersey, by comparison, has the highest effective tax rate of any state, at 2.44 percent. Mr. Himes has said his group thinks the option to eliminate property taxes for primary residences is a good idea — as long as a sound revenue replacement is found. If the ballot measure is adopted by Keystone State voters, the legislature would need to find alternative sources of revenue before taxing authorities could move forward with enacting property tax exemptions. SB-76 Topic Of Delco Town Hall — HB/SB-76 — also known as the Property Tax Independence Act — will be the subject of a Town Hall, 7 p.m., Sept. 14, at the Marple Library, 2599 S. Sproul Road, Broomall, Pa. 19008. The bill will eliminate all property tax funding for schools — with some exceptions for districts with long-term debt –and replace it by increasing the state sales tax 1 percentage point and the state income tax 1.88 percentage points. Details will be discussed at the town hall or visiting the Pennsylvania Taxpayers Cyber Coalition website PTCC.us. Property Tax Amendment On Nov. 7 Ballot — An amendment to Pennsylvania’s constitution will be up for approval, Nov. 7, that may make debate about a state-wide ban on school property tax moot if it should pass. Ending the property tax as a means of funding schools has been on the legislative agenda since at least 2012. The bills have been called the Property Tax Independence Act and have had the number 76 in their name. The amendment, sponsored by Rep. David Maloney (R-130), would change Article VIII of the state constitution to allow local taxing authorities to exclude from taxation an amount based on the assessed value of homestead property. Existing law now caps the exclusion at 50 percent. Implementation would require the General Assembly to pass enabling legislation to establish guidelines for local jurisdictions to follow if the amendment should pass. After much debate and discussion on Monday in the Senate caucus, Senator Dave Argall later on the Senate floor offered an amendment to House Bill 683 that contained language that was similar to the language in Senate Bill 76. The amendment was voted on by the full Senate – the vote was 24 – yes votes ( 18 Republicans – 6 Democrats ) and 24 – no votes ( 12 Republicans – 12 Democrats) – Lt. Governor Stack cast the tie breaking vote of no – so the amendment failed. While the no vote might be viewed as a defeat – I see progress – # 1 – the issue of school tax elimination made its way to the Senate floor for a vote – I personally, along with other Republican Senators, had many unanswered questions but I voted yes to get the ball on the field – I give our Senate Majority Leader Jake Corman credit for allowing the amendment to the Senate floor for a vote – # 2 – I am reaching out to many of the Republican Senators who voted no to ask what their concerns and reasons for voting no were. The reasons for the no votes by some of my Republican colleagues are understandable and deserve a chance to be addressed. Another large issue is the current “Hold Harmless” agreements– this means no school district would receive less funding next year than they received the previous year – some school districts are receiving $8-10,000 per student and some districts receive $20-25,000 per student – we need to completely rework the funding formula. 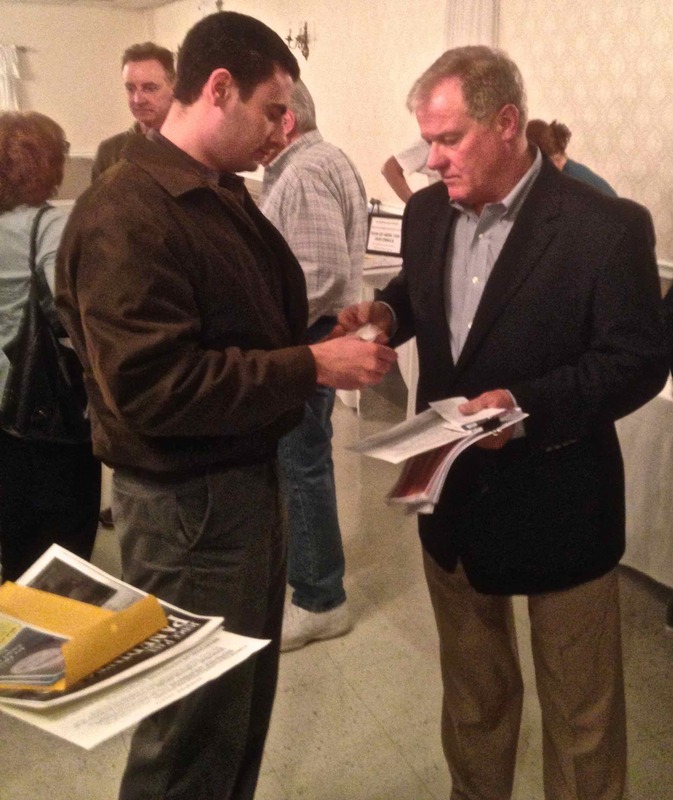 I am fully aware of the school property tax burden on many working families – I am also a private sector business owner. When I received the tax rates proposed in the amendment on Monday I did a back of the napkin calculation of what the increased personal income tax and sales tax would cost my company and me – the result would be a minimum of $200,000 per year (personal income tax and sales tax) – I am watchful of how the new taxes that are intended to eliminate school taxes on real estate would also impact businesses. My calculation for the increased taxes my company and I would pay are the gross taxes that would apply – we would see eliminated school taxes of approximately $60,000 on our various properties, which I would deduct from the additional taxes, but at the end of the day the increased tax impact would be in the $140,000 per year range – I am also aware that any additional sales tax that my business would pay would be deducted as a business expense and would reduce our federal tax liability. For readers who understand different tax categories, my company is a Sub-S Corporation so pass through income would be taxed at the higher rate. I can assure you of this point – the “Property Tax Ball” is out on the field and is not going away – until it gets resolved. This past April I circulated a memo proposing a piece of legislation called the “Taxpayer Fairness in Compensation Act” asking for co-sponsors. 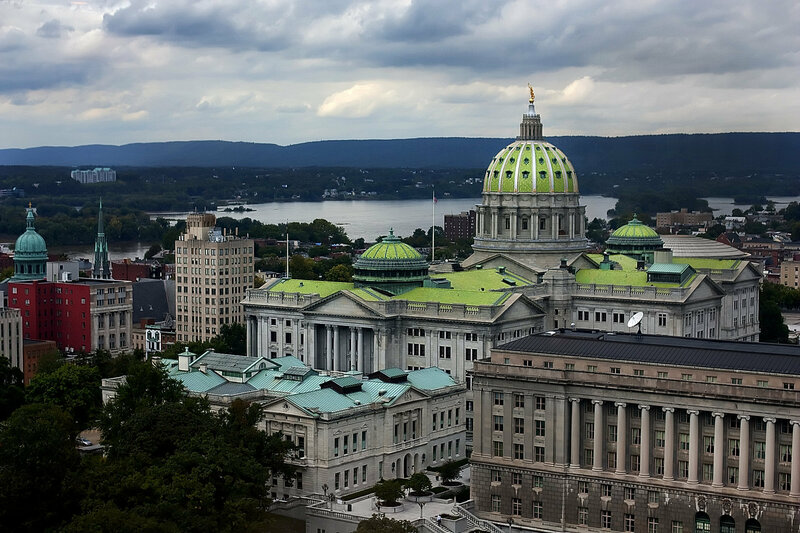 This week has been busy with many people visiting my Senate office in Harrisburg and many emails received regarding Senate Bill 76 – The Property Tax Independence Act. If SB76 is passed it would eliminate school taxes on all real estate. To be clear – local county and municipal taxes would remain in place. The elimination of school taxes would apply to all real estate in Pennsylvania – residential, commercial and industrial. To completely eliminate school taxes on real estate in PA the legislature has to find between $12-14 Billion Dollars of revenue from other sources. Other sources mean new taxes, increased taxes, and lifting exemptions on goods or services not currently taxed. There is no free lunch – money is not falling out of the sky – so everyone has to have realistic expectations. So here is how we begin the task of eliminating school taxes on real estate – we have to identify the actual dollar amount that is needed to cover the school tax elimination – that is the easy part. Here is the hard part of SB76 – we currently have 500 school districts in PA – each school district has a school board – to be clear there are 500 different school boards that are comprised of volunteer board members. Each school district negotiates teacher contracts for wages and benefits without any input from the legislature. Currently there are many school districts renewing teacher contracts with annual salary increases of anywhere from 2% to 3.5% increases – these increases are being given in a period when the CPI index is less than 1%. The private sector business world is seeing dramatic health insurance increases – in the private sector it is customary for employees to pay for between 20% and 30% of their monthly health insurance costs. In the Philadelphia School District teachers pay zero toward their health insurance – many teachers throughout PA pay a lower percentage toward their monthly health insurance costs than private sector workers. We still have not fixed the pension crisis in PA. Prevailing wage mandates are still required for construction and maintenance projects at school districts. In my own school district in York this past summer the school district replaced roofs on several buildings – the school finance director requested two bids to replace the roofs, the first bid required using prevailing wage labor and the second bid did not require prevailing wage labor. The prevailing wage labor price was $2.8 Million Dollars – the non-prevailing wage price was $2.2 Million Dollars a difference of $600,000 – Six Hundred Thousand Dollars – the district had no choice but to award the contract using mandated prevailing wage labor. I call school districts the “Hungry Monster” that needs to be put on a diet – until we solve salary and health insurance increases – SB 76 will be a disaster – we MUST get school costs under control first. Another very large issue with school boards is that I estimate that between 25% and 50% of volunteer school board members are married to a teacher, have a son or daughter who are teachers, the board member may be a teacher at another school or the board member may have been a former teacher – My point is that there is a large amount of conflict on school boards – these conflicts must be resolved and eliminated. The conflict of interest on school boards is similar to the fox guarding the chicken coop. So here is the dilemma that I face when voting on SB 76 – have spiraling costs been contained or eliminated – and where is replacement revenue coming from? In reality the SB 76 issue is front burner for everyone – it must be done correctly or three years from now what was a good intention will explode. SB 76 must be done with great thought, planning and precision – My colleagues in the Senate are committed to getting this issue to the finish line. I intend to vote for SB76 but it is important that it be done properly and not just jammed through. 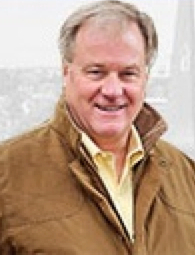 Scott Wagner represents the 28th District in the Pennsylvania State Senate. The Pennsylvania Senate Finance Committee, Sept. 16, approved the Property Tax Independence Act (Senate Bill 76), marking the first time the proposal has earned a positive vote from a legislative committee, says State Rep. Jim Cox (R-129). Cox along with Sen. Dave Argall (R-29) introduced the bill in March 2013. The legislation would completely replace school district property taxes through an expansion of the sales tax to include some currently exempt items, an increase in the sales tax rate and an increase in the state income tax. The sales tax would increase by one cent for every dollar spent on taxable items and the income tax would increase by a little more than one cent on every taxable dollar earned. The Senate Finance Committee has scheduled a public hearing 9:30 a.m., Wednesday, April 30, in Hearing Room 1 of the North Office Building in the state Capitol to consider the Property Tax Independence Act (Senate Bill 76), reports state Rep. Jim Cox (R-129). A rally is scheduled for 11:30 a.m. on the front steps of the Capitol to show support for the bill. State Rep. Jim Cox (R-129) says the number of co-sponsors for HB 76, which would end the use of the property tax for school funding, has reached 80.